The journal Television & New Media has published a special issue on “New Media Geographies and the Middle East” edited by Miyasa Christensen. The papers are couched in terms of the broader “Arab Spring” but four have either specific Egyptian content or are particularly relevant to Egypt. There are also articles offering specific examples from Lebanon and Iraq. Events had both a regional character and a high level of global-transnational significance. The frame of enraged peoples eager to topple oppressive regimes resonated with protest movements and mass demonstrations elsewhere in the world at a time of multiple financial crises and highly contested corporate bailouts. The existence of a techno-savvy young population organizing and connecting both translocally and globally through transmedia came to re-highlight the significance of technological progress and its role(s) in political change. The immediate and expanding communicative spaces such meta-events open up accommodate a high level of political/discursive diversity and topical multiplicity stretching over a considerable length of time. The dynamic and generative dialectic between their local/regional rootedness and global relevance makes these protest events (and their aftermath) irreducible to a local social phenomenon, and renders them transcendent on a scalar level. In “Seeking Ontological Security beyond the Nation: The Role of Transnational Television” author Myria Georgiou explores what international television coverage meant to transnational audiences, especially Arabs living in Europe. Although framed as being about coverage of the Arab Spring in general, in fact the article focuses on Al-Jazeera’s round-the-clock coverage of the protests in Tahrir Square. Naomi Sakr, in her essay “Social Media, Television Talk Shows, and Political Change in Egypt” essentially agrees with those of us who feel that social media and mass media were so interdependent during the 18 days in tahrir that speaking of them as two distinct forms of media is unproductive. But the same is not necessarily true for Egyptian television. She suggests that Internet-television “synchronization” began at least by 2005 where the independent television networks were concerned, and that what allowed some of the most important moments in the revolution to happen on these independent stations were the changes in local political structure during the revolution, increasing opportunities to elaborate linkages that already existed. In “The Arab Spring As Meta-Event and Communicative Spaces” authors Miyase and Christen Christensen examine the comments left by readers one web sites carrying stories about Turkey as a potential model for democratization in Arab states. The data is interesting but I’m not persuaded by their argument that such analysis illuminates broader global-local issues surrounding “meta-events” like the Arab uprisins. This special issue of Television & New Media brings together current research on media technologies, society, and culture in the Middle East from diverse methodological and analytical perspectives. The topics addressed cover a wide spectrum: circulation of Arab music videos and public discourse; Lebanese bloggers and mediated public spheres; transnational television audiences and ontological security; social media, TV talk shows, and political change in Egypt; youth-generated Arab media and cultural politics; and the Arab Spring as an ephemeral communicative space. Together, the articles provide a panorama of how today’s multimodal media geographies and engaged actors reinscribe public cultures and politics in the Middle East. This article examines the role of transnational television in supporting transnational subjects’ ontological security in a world of information, risk, interconnected spaces but fragmented social relations. The discussion draws from Silverstone’s and Giddens’s work on ontological security and modernity. It revisits Silverstone’s analysis of television as a core system for managing modern subjects’ insecurities and relocates this thesis in a transnational context. Enabling symbolic as well as physical co-presence, the space around television becomes a contradictory, yet important, frame for managing everyday anxieties shared by many migrants and diasporic subjects. This is particularly the case for people torn by anxieties associated with separation, political instability in their region of origin, and the precariousness of migrant life. With reference to empirical research with Arab audiences across Europe, the article shows that television sustains its central role, even when new media make significant advances. At least two pivotal moments in Egypt’s 2011 uprising took place on talk shows on the country’s private satellite television channels. In seeking to understand how these shows evolved, under authoritarian rule, to the point where they could host such moments, this article explores the impact of online media on their evolution. Taking account of studies into online–offline media interaction in democratic and nondemocratic settings, the research traces processes behind the rise of oppositional talk on Egyptian television during three consecutive periods. It finds that these had as much to do with particularities of national politics and economics as with transnational digital networks. Indeed, it was the restrictions on mainstream media that pushed political communication online, which validates Kraidy’s theory of hypermedia space, where multiple points of access to digital media are seen to facilitate contestation of the status quo. Yet, unequal offline power relations continue to shape these access points. The uprisings in the Middle East and North Africa, immediately labeled “the Arab Spring,” are best described as processes rather than outcomes. Despite being a common area of media focus due to decades-long geopolitics, the Arab Spring, as a mediatized meta-event, has led to the reemergence of the region as a discursive territory. 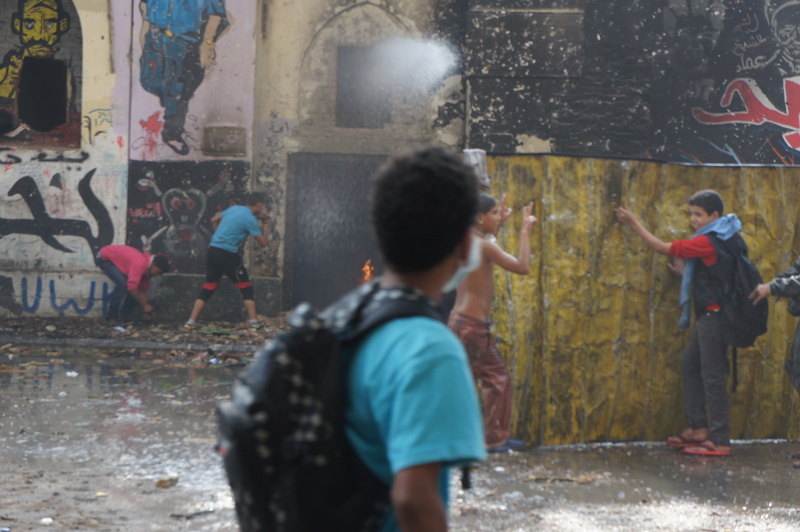 The communicative spaces that opened up during and in the aftermath of the uprisings allowed for a multiplicity of topics to reenter public discourse across local, national, and transnational scales. In the process, seasoned debates such as religious sectarianism and democratic institutionalization gained magnitude. More specific debates such as Turkey’s role as a model/antimodel added new discursive aspects to the multitopic ensemble. The purpose of this article is to reflect on the communicative and scalar dimensions in the mediation of the Arab Spring by way of taking the debates on Turkey as a case in point. Christensen, Miyase. 2013. New Media Geographies and the Middle East. Television & New Media 14(4): 267-270. Christensen, Miyase and Christian Christensen. 2013. The Arab Spring As Meta-Event and Communicative Spaces. Television & New Media 14(4): 351-364. Georgiou, Myria. 2013. Seeking Ontological Security beyond the Nation: The Role of Transnational Television. Television & New Media 14(4): 304-321. Sakr, Naomi. 2013. “Social Media, Television Talk Shows, and Political Change in Egypt” Television & New Media 14(4): 322-337.